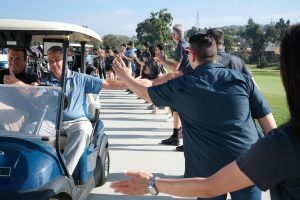 On September 13, hundreds of golfers joined the Panda Cares Foundation at the Omni La Costa and the Park Hyatt Aviara in Carlsbad, California, to raise money for Children’s Hospital Los Angeles and other charitable causes chosen by Panda Restaurant Group. The Panda Cares Charity Golf Invitational is celebrating it’s 20th anniversary as well as $13 million raised. 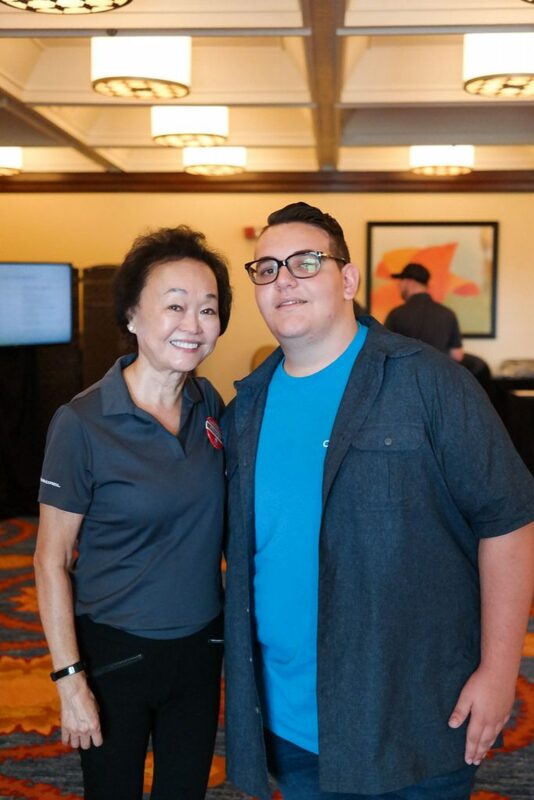 As a surprise to attendees this year, special guest Christian Guardino was on hand to greet participants at the hospitality desk, network with Panda Restaurant Group employees and meet CEO Peggy Cherng. Christian was a semi-finalist on Season 12 of America’s Got Talent and was also treated at his local children’s hospital. He gave thanks for the charitable efforts of the company by sharing his story and performing two songs during the event’s dinner. Christian was on the brink of blindness, but thanks to an experimental gene therapy at his children’s hospital he can see. He was born with an inherited eye disease with no treatment or cure that caused him to see only bright light and blurry shapes. He would eventually lose all sight. When Christian was 13 he entered a clinical therapy gene trial at Children’s Hospital of Philadelphia. Since his participation in the trial, he has seen a 75- to 80-percent improvement in his vision. The gene trial was successful for Christian and many others. After Christian and his mom, Beth, testified before the U.S. Food and Drug Administration, they approved the gene therapy for use in patients in December 2017. It is the first gene therapy approved for the eye and for an inherited condition. Christian has a passion for soul music and aspires to be a recording artist. Children’s Miracle Network Hospitals funds support the child life department, which helps kids like Christian cope with the emotional stress of diagnosis and treatment. Christian has represented the 10 million children treated in Children’s Miracle Network Hospitals each year as a national goodwill ambassador during 2018 and helped share the need for donations to children’s hospitals across the United States. The Panda Cares Foundation was established to share Panda Restaurant Group’s success with non-profit organizations serving in their communities. The main focus and passion of Panda Cares continues to be the health and education of underserved children. The event raised over $2.5 million that will be divided between the charitable causes Panda Cares has chosen.